Dimensions: 18" Wide, 22" Deep, 38" High. 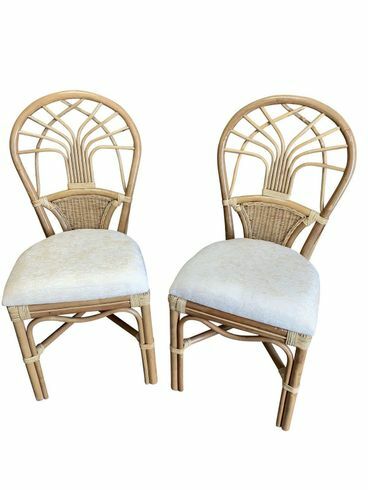 The Jupiter rattan dining side chairs are finished in a light shade of brown and is leather wrapped for extra strength. The chair features an attached seat cushion in off white and cream fabric. 18" Wide, 22" Deep, 38" High.